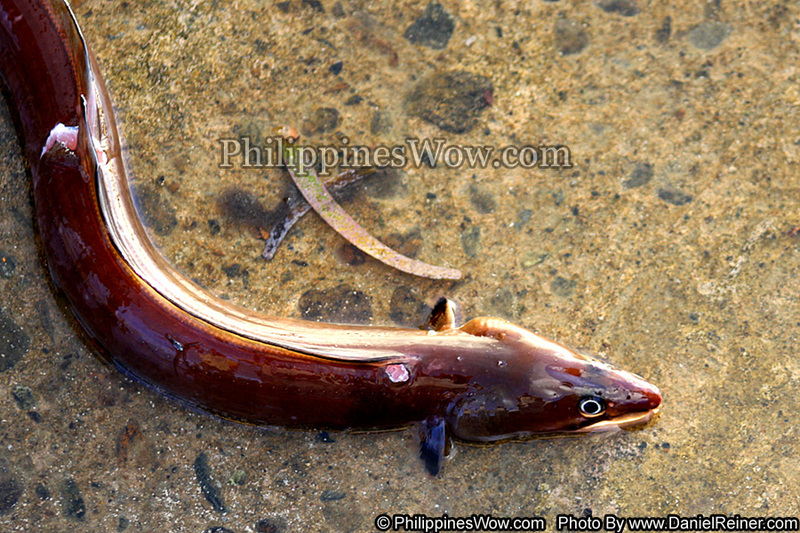 This is an image of a Small Brown Eel from the Philippines. This Eel was caught by some young fisherman at low tide. If you look close you can see some wounds on the Eel from when it was caught. There are quite a few species of Eels in the Philippines and most of them are eaten except for the Electric Eels.